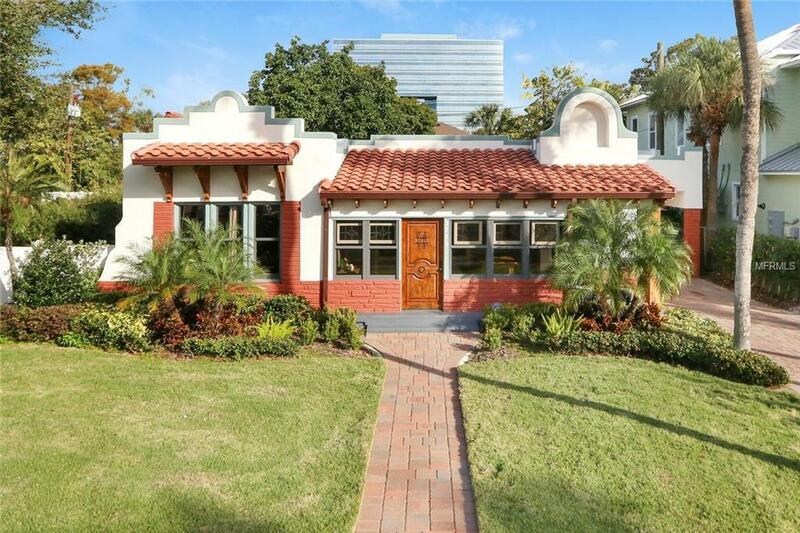 Come enjoy the South Tampa lifestyle in this tastefully updated 1927 Mediterranean home. The remodeled was completed with the finest finishes in mind. This can be seen as soon as you enter through the solid wood door into the sunroom with planked ceiling. The main home features 3 bedroom, 3 bathroom, 2,029 SqFt, wood and tile flooring, kitchen over looking the formal dining room, breakfast nook, long hallway leading to master suite, 2nd Bedroom En Suite, large side porch with plank and carport ceiling, brick paved driveway, mother-in-law suite, ROOF and AIR CONDITIONER are 2 YEARS OLD. The kitchen was designed exotic granite and concrete countertops, wood cabinets, and stainless steel appliances. The large master suite is truly grand with walk in closet, his and her Restoration Hardware vanities, breath taking shower, and two sets of large double doors leading out to the porch. The mother-in-law suite is a 360 SqFt studio apartment that can double as a game room. The suite was designed with real Chicago bricks, tile floors, and concrete counter tops. Don't miss the opportunity to make this dream home your reality. Schedule your private showing today.